To help prevent child abuse, starting in autumn of 2019, Delaware has mandated that school districts every year teach all children from pre-K to sixth grade about personal body safety. 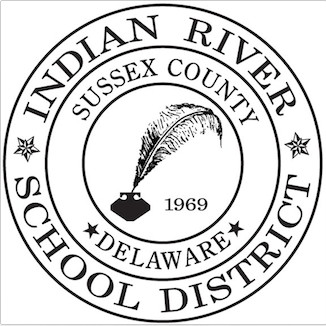 The Indian River School District is working with the Prevent Child Abuse Delaware program to teach personal safety in an age-appropriate way. Kids will learn how to stay safe, trust their gut, make good choices and express their feelings. “I certainly think it’s important to teach children how to express their feelings, how to stay safe, make good choices, … share things with someone they think is trustworthy,” especially if they need help, said Kelly Dorman, IRSD director of elementary education. Once a year, children will recap and build upon the previous lessons in the B.E. S.M.A.R.T curriculum. Younger kids will learn to understand the “uh-oh” feeling and identify safe adults in the home and community. Older kids will be taught to understand more concrete examples of safe or dangerous people or situations. Pre-K students get a stuffed bear and storybook, while older children might have a video, workbook or interactive activities. Third- and fourth graders will begin to identify the actual types of child abuse and what to do in dangerous situations at home, online or in the community. The oldest kids participating in the program will learn to identify when boundaries are being violated and how to apply safety skills in dangerous situations. Parents and teachers also receive follow-up materials that can be used with children to review the concepts learned. Districts could choose from one of several State-vetted programs. “Many of our schools had already been using Prevent Child Abuse Delaware. … We thought this one was the best,” Dorman said. The agency will send trained professionals to every IRSD classroom once or twice a year. “Our teachers will remain in the classrooms, because they’re one of those adults that children can go to if they have something they need to share,” Dorman said. It can feel like a scary topic, but all lessons designed to be age-appropriate and teach children how to protect and speak up for themselves. Right now, the IRSD is just at the planning stages of the program. When the IRSD starts the program in 2019-2020, families can contact their child’s principal or school counselor for more information.